Place names have great linguistic and cultural significance, vivifying the landscape and giving it deeper character and interest. Banks Peninsula, Lyttelton Harbour and the Port Hills of Christchurch offer a wonderfully diverse and a kaleidoscopic array of names that speak of the areas's Maori and colonial history and the people who have lived and worked there. Back in 1927 prolific author Johannes Andersen published his classic and important "Place-Names of Banks Peninsula", but much has changed since then: names have dropped out of use or been superseded, spellings have altered, knowledge of origins has improved and large numbers of new names have been added. Award-winning historian Gordon Ogilvie, who has a deep knowledge of this part of New Zealand, has written a comprehensive, fascinating and much-needed successor to Andersen's book. The coverage of names extends to the Heathcote and Halswell rivers and includes suburbs like Halswell and Tai Tapu. 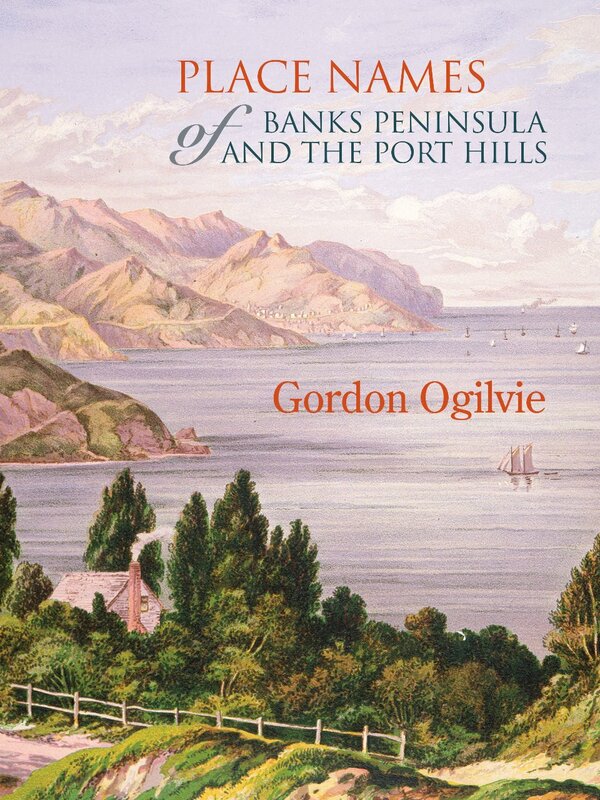 Engagingly written, brimming with information and enriched with black and white photographs and stunning colour plates, this substantial volume is an important addition to Ogilvie's popular and acclaimed histories of Banks Peninsula and the Port Hills. The intriguing background he provides for the place names of this region will delight all those who live there, those who visit and anyone with an interest in New Zealand's past. 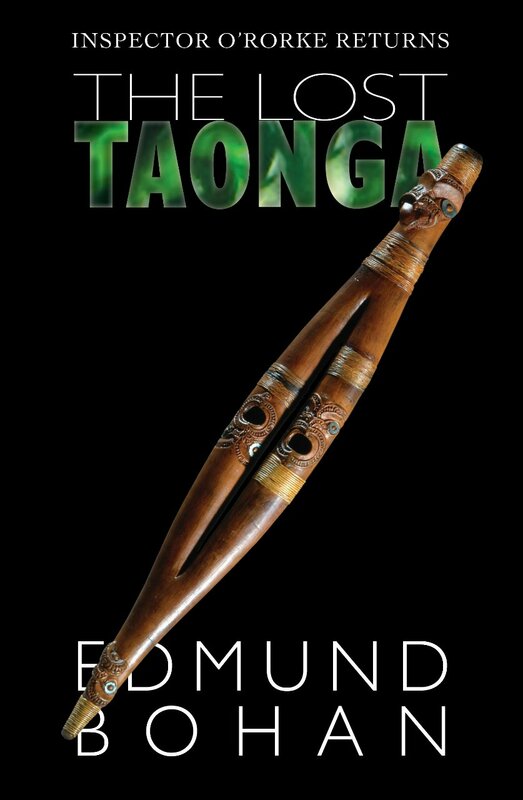 Long-listed for Ngaio Marsh Best Novel 2018 Their Taonga: Ngai Tahu’s ancient and sacred treasure. Everybody covets it. When it is stolen, the ancestors start wreaking havoc. The curse destroys people’s lives. Boats are overturned, babies die at birth, throats are slit. It must be returned to appease the ancestors. It has drawn Countess Margarita Szechnyi and Boyland the Collector, otherwise known as the Butcher of Warsaw, together into a web of murder, intrigue, love and deceit. 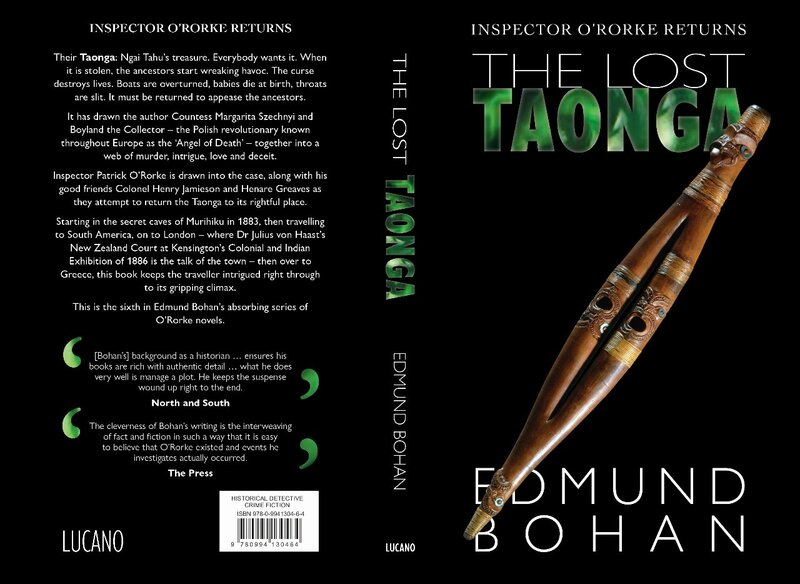 Inspector O’Rorke is pushed into the case, along with his good friend Colonel Henry Jamieson and Henare Greaves as they attempt to return the Taonga to its rightful place. Starting in the secret caves of Murihiku in New Zealand’s South Island in 1883, then travelling to South America, on to London, then over to the Greek Isles, this book keeps the reader intrigued right through to the gripping climax. This is the sixth in Edmund Bohan’s gripping series of Inspector O’Rorke novels. From converted factories and chapels to cabins built from salvaged wood, this collection of innovative, beautiful, and sustainable dwellings showcases a worldwide trend for upcycling in home design. Antonia Edwards’ first book, Upcyclist, explored how artists and designers around the globe transform castoff materials into elegant domestic furnishings. Now, she turns her sights to the homes themselves in this breathtaking selection of unique buildings and interiors. 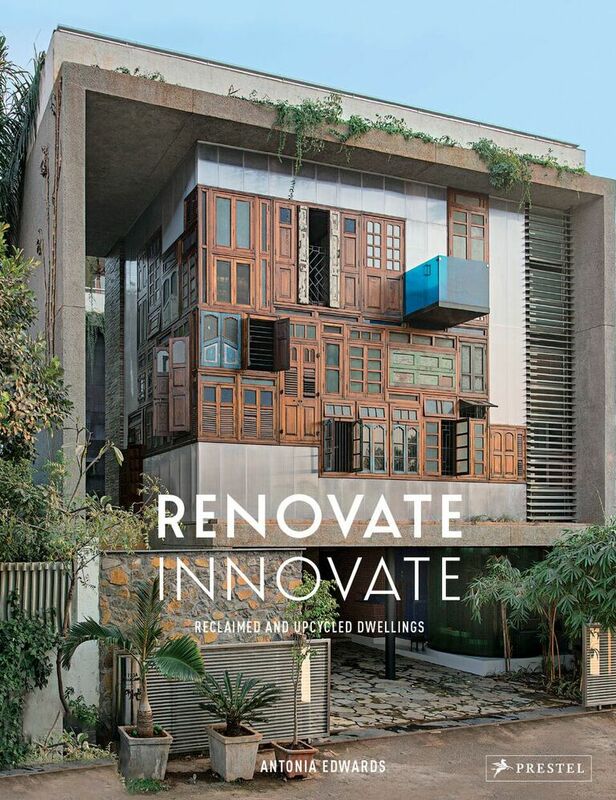 Divided into three sections—Reclaimed, Revived, and Reimagined—Renovate Innovate offers vibrant photographs and fascinating descriptions of its subjects. Projects in the Reclaimed chapter include environmentalist Peter Bahouth’s highly coveted three-unit tree house nestled in the Atlanta woods and the Love Art Studio in Phuket, Thailand, which is constructed entirely from bits of driftwood. The Revived section features a traditional Slovenian barn, rescued from disrepair and converted into a light-filled holiday home with beautiful Alpine views, and a Milanese apartment furnished with striking vintage finds. Reimagined takes readers from Melbourne to Madrid, Tribeca to the English countryside, showcasing a 7,500 square-foot reservoir converted into a trendy modern residence and a former cement factory that has found new life as architect Ricardo Bofill’s famed studio and living space. This international sampling of stunning new buildings and renovations will inspire readers, designers, architects, and dreamers alike to reimagine lived in spaces. Now available in a new edition, this introduction to fifty visionary architects traces the major aesthetic movements over the past six centuries and offers concise portraits of the geniuses behind them. Starting with the Renaissance, this accessible and lively survey takes readers around the world and through history, from Filippo Brunelleschi through Antoni Gaudi to Frank Gehry. Double-page spreads feature full-color illustrations, informative sidebars, and a timeline. 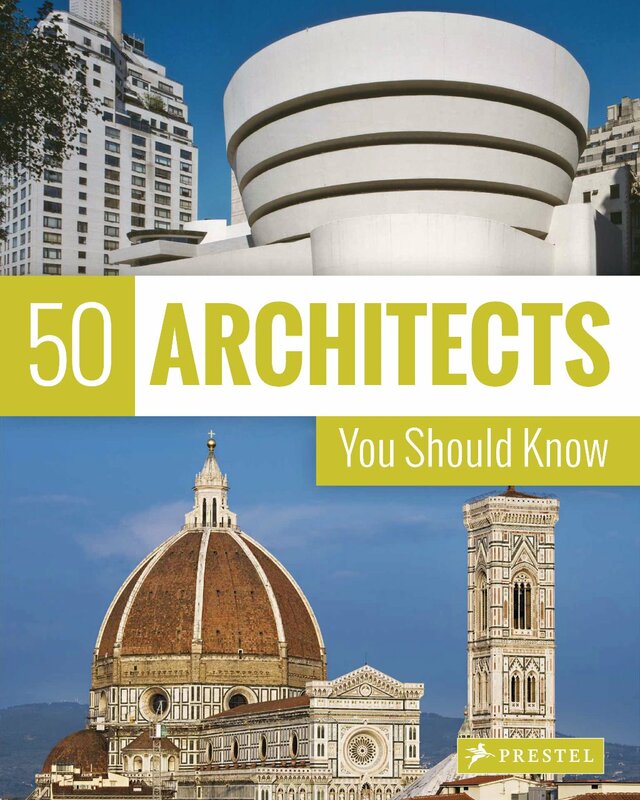 A concise and accessible architectural history, this book is a fascinating look at the enormous variety of ways architects have helped define their eras. Now available in a new edition, this chronologically arranged volume covers a century and a half of masterpieces which beautifully capture the development of art in the modern age. Starting with James Abbott McNeill Whistler and ending with Matthew Barney, nearly every prominent figure in Modern art is represented in vibrant double-page spreads that show how these artists redefined norms and challenged tradition. Fascinating biographical and anecdotal information about each artist is provided alongside large reproductions of their most celebrated works, stunning details, and images of the artists themselves. 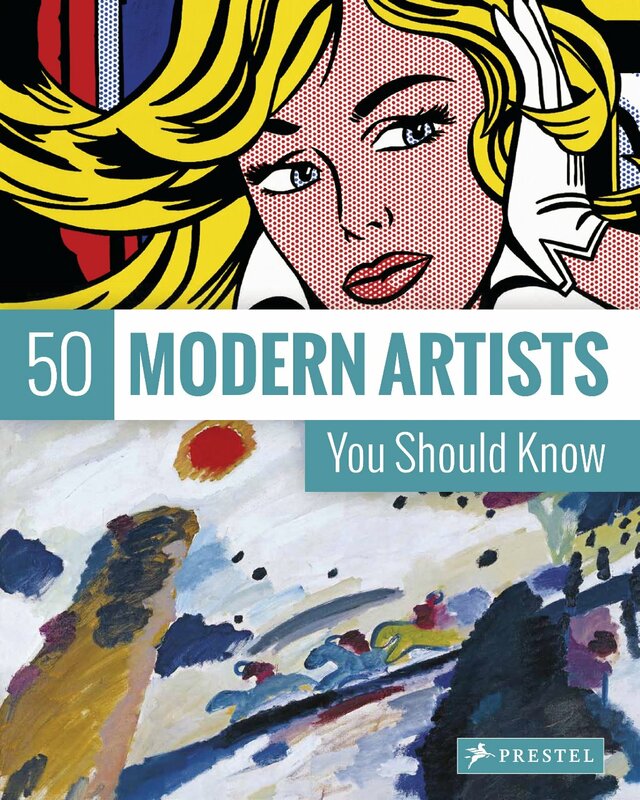 From the Impressionists to the Surrealists, Cubists to Pop artists—readers will find a wealth of information as well as hours of enjoyment learning about one of the most popular and prolific periods in art history. When much of our existing housing stock was built, lifestyles were very different. This has meant that a large proportion of architect’s work has been adapting these older buildings, rather than building afresh. The challenge is thus to adapt our old buildings to our new ways of living, whilst not destroying what we like about the older houses. Adaption will often mean adding more space. This will often be to the back, the roof or the side, or even sometimes underneath, whilst retaining the original building’s front as part of the streetscape. 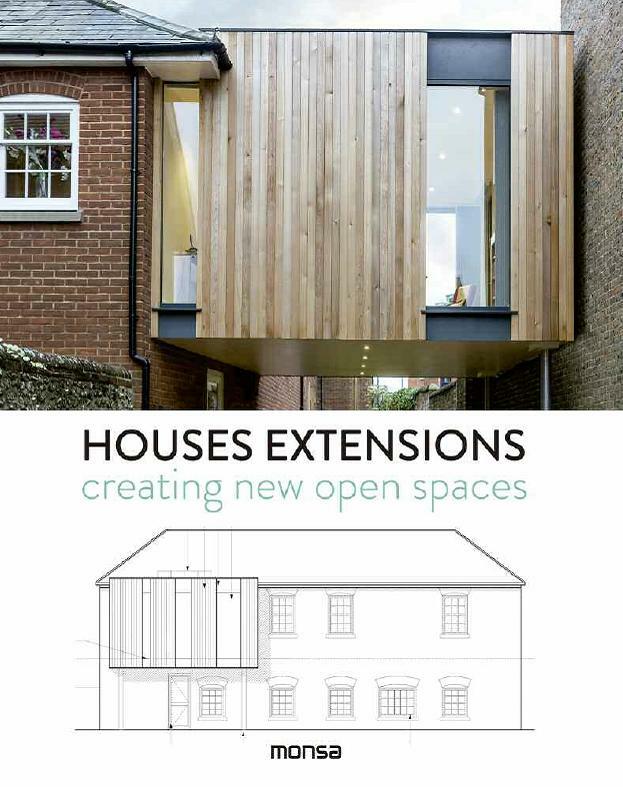 This book is about the challenge of adapting our old buildings to our new lifestyles in lots of different and creative ways. Many abodes can fall under the label of surf shack: New York City apartments, cabins nestled next to national parks, or tiny Hawaiian huts. Surfing communities are overflowing with creativity, innovation, and rich personas. 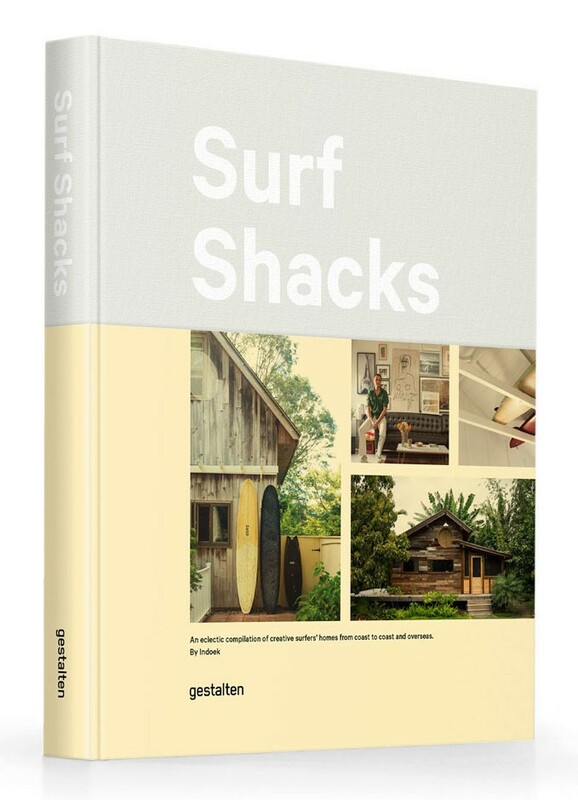 Surf Shacks takes a deeper look at surfers' homes and artistic habits. Glimpses of record collections, strolls through backyard gardens, or a peek into a painter’s studio provide insight into surfers’ lives both on and off shore. From the remote Hawaiian nook of filmmaker Jess Bianchi to the woodsy Japanese paradise that the former CEO of Surfrider Foundation in Japan, Hiromi Masubara, calls home to the converted bus that Ryan Lovelace claims as his domicile and his transport, every space has a unique tale. The moments that these vibrant personalities spend away from the swell and the froth are both captivating and nuanced. Through anecdotes and photographs, illustrations and conversations, Surf Shacks reveals a more personal side to surfing and its eclectic cast of characters. Explore the world one step at a time embark on trails that invite, inspire, and invigorate. 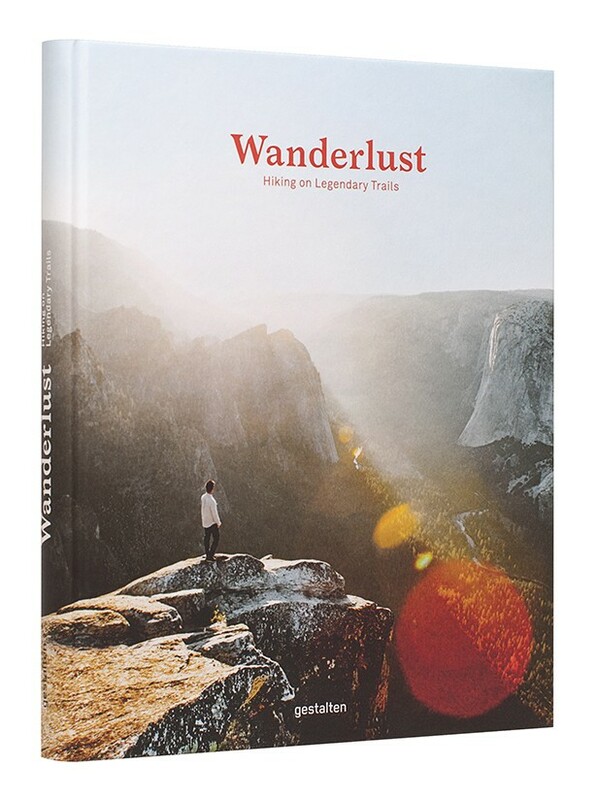 Wanderlust presents the best walking routes with inviting maps, practical tips, and inspiring landscape photographs. Following faded footsteps of migrating animals or paths of ancient trade routes, the trails featured in Wanderlust offer both outdoor exploration and enjoyment. Through hiking, connections are made between cities and coasts, people and places. Spectacular photography illustrates journeys to sharp summits, astonishing vistas, and phenomenal locales. Wanderlust provides maps and rich details for long-distance trails and shorter explorations from the El Camino Real in North America to the Routeburn track in New Zealand and the byroads in between. From modern-day transcendentalists who trade facts and figures for flora and fauna to those who simply desire a casual break from concrete scenery, Wanderlust allows you to live vicariously through vivid portraits or use the trips as impetus for your own hiking journey. 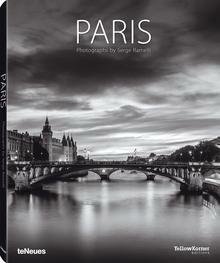 The breathtaking cityscapes of Serge Ramelli are finally available in a small flexicover edition and an unbeatable price The metropolis of Paris, presented with Serge Ramelli’s dramatic vision A fabulous and fascinating tour of the city in an incomparable light Film and photography meld into a black-and-white work of art Paris is the City of Light, love, and savoir vivre. And this world-class capital is surely one of the planet’s most photographed destinations, whether by tourists snapping a quick souvenir shot or professionals with high-end cameras. The brief preview we provide here shows how special this city really is. Paris has never been showcased as impressively, meaningfully, or dramatically as it is by the French photographer Serge Ramelli. His vision of the city—like all of his images—is unmistakably inspired by cinema. In addition to his second passion, filmmaking (which he does when he’s not taking pictures), he is also fascinated by the films of Jean-Pierre Jeunet and Ridley Scott. Ramelli’s interpretation of the bustling metropolis of Paris is at once impressive and fabulous. Pulsing with life both day and night, the city appears nearly devoid of people—a heavily symbolic place with many facets to explore, shining with an inimitable light. This book is a tribute to David Bowie, and to all facets of this magnificent artist, inspiration for several generations. 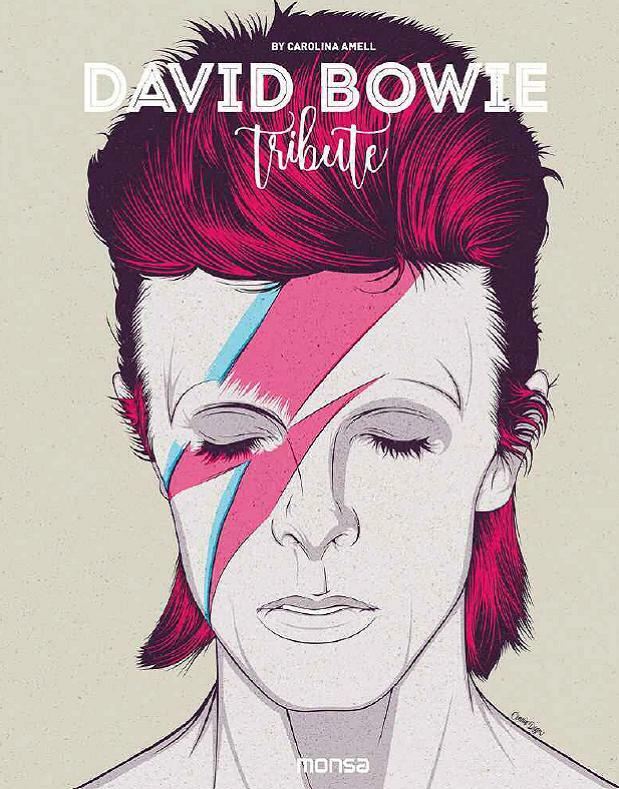 We have brought together 41 artists who have created one or more illustrations of David Bowie, they also express in a sentence what they think about this artist recognised throughout the world.